A grant agreement for the strategic research project Ocean 2020 was signed in the presence of Commissioner Elżbieta Bieńkowska, by the European Defence Agency and the consortium led by the high-tech company Leonardo. This first EU-funded defence research project of 2018 under the European Defence Fund will be followed by 3 other projects in the coming months. Ocean2020 is a large-scale technology demonstration project, supporting maritime surveillance and interdiction missions at sea. It will integrate manned platforms, drones and unmanned submarines into naval operations. The information acquired will be combined with conventional systems to build up a comprehensive picture of tactical situations for national and EU military operations. The project will be run by a consortium led by Leonardo S.p.A, bringing together 42 partners from 15 EU countries. It will receive a grant of around €35 million. In 2019, the project will stage 2 real-life demonstrations – one in the Mediterranean led by the Italian navy and one in the Baltic led by the Swedish navy. The European Defence Fund, launched by President Juncker in June 2017, is a catalyst for the creation of a strong EU defence industry. It boosts defence capabilities and builds new partnerships across borders. Under the European Defence Fund, the Commission has already proposed to allocate €90 million from the EU budget (2017-2019) to fund defence research in areas previously agreed with EU countries. Projects to be funded have been selected following the first call for defence research proposals in 2017. In December 2017, the first grant agreement was signed with the PYTHIA consortium. This project aims to identify key trends in the fast evolving world of innovative defence technologies. The Commission also adopted on 9 March the defence research work-programme for 2018. 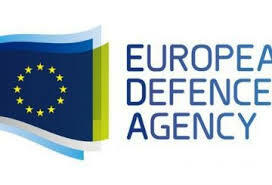 On 15 March the European Defence Agency opened the new calls for defence research proposals for this year. These calls will focus on electronic design technologies for defence applications and a European high-power laser effector. This next batch of research grants for defence will be signed by the end of 2018. As announced in June 2017, the Commission will make a proposal to establish, post 2020, a €1.5 billion per year European Defence Fund to support defence capabilities, out of which an estimated annual budget of €500 million will be dedicated to defence research, making the EU one of the biggest defence research investors in Europe.